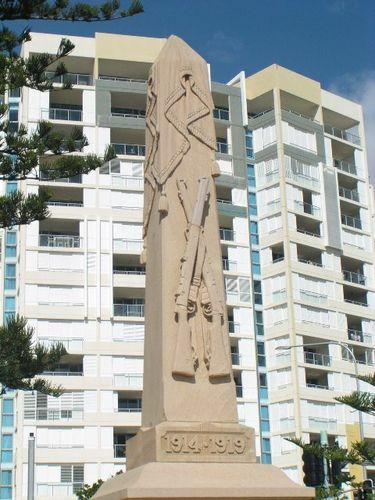 The Coolangatta Soldiers Memorial was erected by the citizens to commemorate those who served in World War One. The memorial was unveiled by Mr Joseph Francis M.H.R on the 29th August 1926. The memorial was very controversial at the time with the town council wanting to put a brick memorial in front of the Town Hall and the citizens and returned soldiers wanting a memorial obelisk at a different location . The Brisbane Courier , 14th May 1925, 31st August 1926.